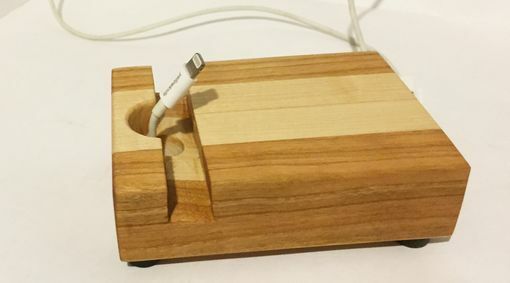 This smartphone docking station holds your smartphone vertically or horizontally. 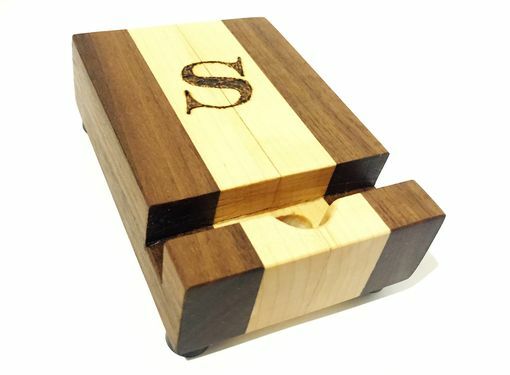 It is made of all natural wood construction with an alternating pattern of light and dark hue produced by the laminated maple and cherry wood strips. 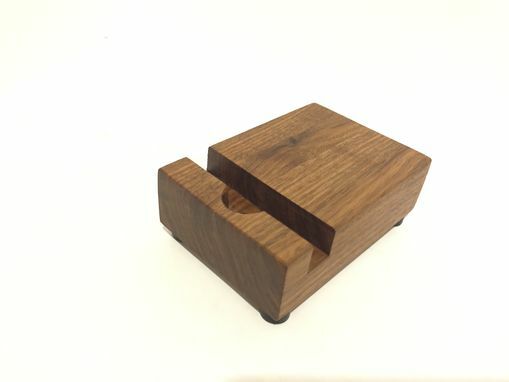 I made an compact and portable stand to take with you whether you are traveling for business or leisure. Use the stand at home or at work without adding any clutter to your desk. This phone dock is angled perfectly for desktop video calling and allows use of phone as nightstand clock! It includes four rubberize pads on the bottom to prevent sliding. And features a hole in the center to allow you to charge your iPhone while sitting in the stand. Looks very attractive on your office desk and is very useful on your night stand when using a desk clock app. The dock can even support tablets such as iPad and Galaxy Tab and Note. 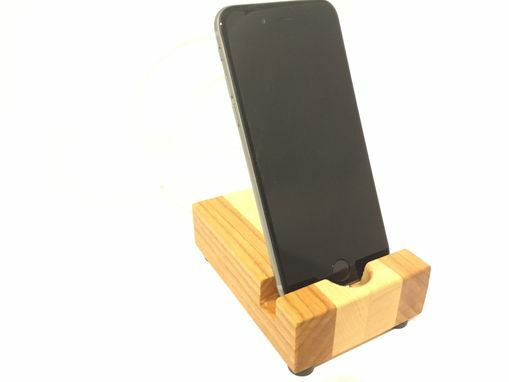 This unique design adds the benefit of broadcasting the sound out similar to a speaker when playing music on your iPhone while in the dock. All of my products are handmade by me, in my shop, in the USA. Being made one-of-a-kind, each dock will have slight variations in look and color.